LIVE in, at and from LAS VEGAS!!!!!! We were asked the other day what is the one “Live from Las Vegas” album that best personifies the classic Las Vegas show experience. That got us to thinking. There are some great albums that were recorded back in the day. The Checkmates Live at Caesars Palace! is one of my favorites. My mother was the head waitress in the Circus Maximus showroom back when the Checkmates were the hottest group on the Strip. They had worked their way up from playing Nero’s Nook to the showroom and this album catches them at that transcendent moment. Needless to say, we wore the album out. Louis Prima, Keely Smith and Sam Butera and the Witnesses’ Las Vegas Prima Style is a wonderful historic record of this ground-breaking group’s Las Vegas show. Recorded live at the Casbah Lounge at the Sahara Hotel, if you want to know why this group was the “hottest group in the country, in the world” as Sam Butera liked to say, this album provides the answer. Other well-worth listening to live albums include both of singer Tom Jones’ live albums. One recorded in 1969, Tom Jones Live in Las Vegas and the other, Tom Jones Live at Caesars Palace in 1971. If you enjoy Sonny and Cher be sure to check out their Live in Las Vegas, Vol. 2 album recorded in the Congo Room of the Sahara Hotel in 1974. Motown lovers might enjoy The Supremes Farewell album, recorded live during their final two-week show at the Frontier Hotel in January, 1970. The album includes songs and highlights from the closing night show on January 14th. 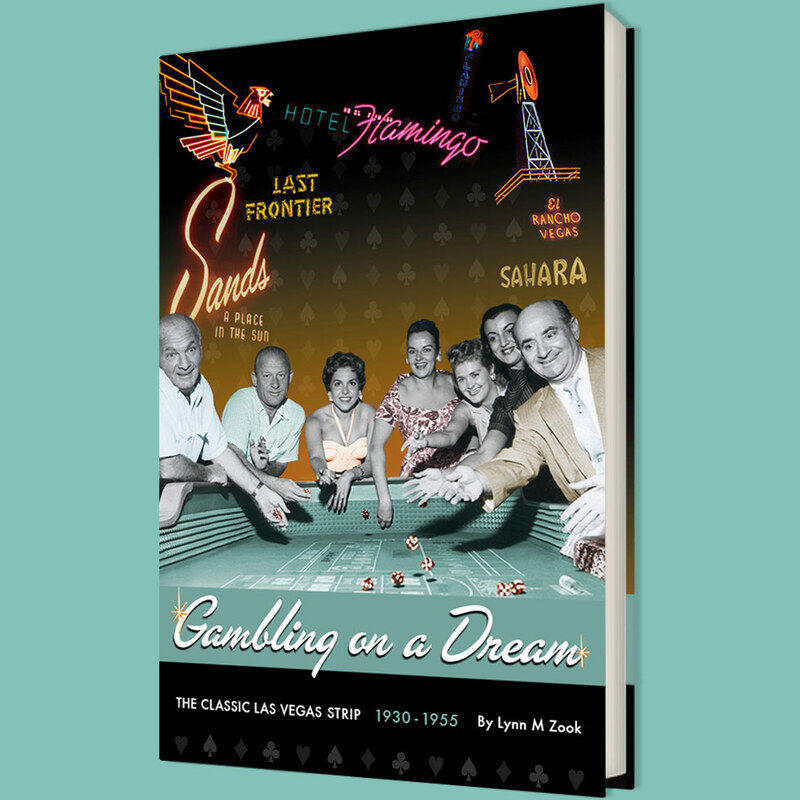 To get a flavor of Las Vegas entertainment in the 1950s, take a listen to Noel Coward at Las Vegas, which was recorded during his first run of shows at the Desert Inn in 1955. Coward was under the weather with the flu but rallied to put on a terrific show the night this album was recorded. At the other end of the spectrum is the wonderful Elvis: Live from Las Vegas (another one we wore out on the family turntable) recorded on August 24th, 1969 during the singer’s fabled comeback month long stint at the International Hotel. This is Elvis at the top of his game. For mythic classic Las Vegas fans, the 2001 release of the Rat Pack: Live at the Sands gives listeners the opportunity to listen to the show that was the hottest ticket in town. Taken from recording at the famed Copa Room in the Sands Hotel, this compilation disc captures the rollicking, free-wheeling shows and feature Frank Sinatra, Dean Martin, Sammy Davis, Jr., Joey Bishop and Peter Lawford having a great time as is the audience. But, for me, the live album that best captures not only the classic Las Vegas show experience but also the essence of the performer is Sinatra at the Sands with the Count Basie Orchestra. This live album was recorded in the Copa Room in 1966 (when Sinatra was still the biggest name on the Strip, Jack Entratter was still running the Sands and everything was it should be in Frank’s world) with arrangements by a then-young Quincy Jones, who was the band conductor for the show as well. The album features many of the standards that are now part of the Sinatra songbook and our collective memory but it is wonderful to just put this on and be taken back in time to an era when live orchestras were the norm on the Strip and listen to a performer at the top of the pyramid. Here Frank is loose, joking with the audience, obviously having fun and enjoying himself. The Count Basie Orchestra provides the rhythm and tempo and as you listen, you feel as if you have been transported back to those mythic days when Las Vegas was the Entertainment Capital of the World and Sinatra was King of the Strip. So put on your tux, pour yourself a glass of Jack Daniels and sit back and travel back in time. If you want to continue your time traveling listening pleasure, be sure to get Live from Caesars Palace (available from Amazon), a compilation CD taken from recording tapes made during various performers stints at the hotel. Entertainers include a who’s who of Las Vegas entertainers including Sinatra, Davis, Andy Williams (who opened Caesars in August 1966), Lena Horne and Keely Smith. Just don’t forget to come back to the 21st century when you are done!